I have enjoyed and learned from two historical tomes by the popular historian Tom Holland: In the Shadow of the Sword: The Birth of Islam and the Rise of the Global Arab Empire and Millennium: The End of the World and the Forging of Christendom. Holland knows how to garnish historical detail and interpretation with narrative colour. Whose face is the model for this image? This is the work of a great scholar, sifting sources, placing them in their historical context, interrogating the assumptions that may condition how we interpret them. There are even some graphs. 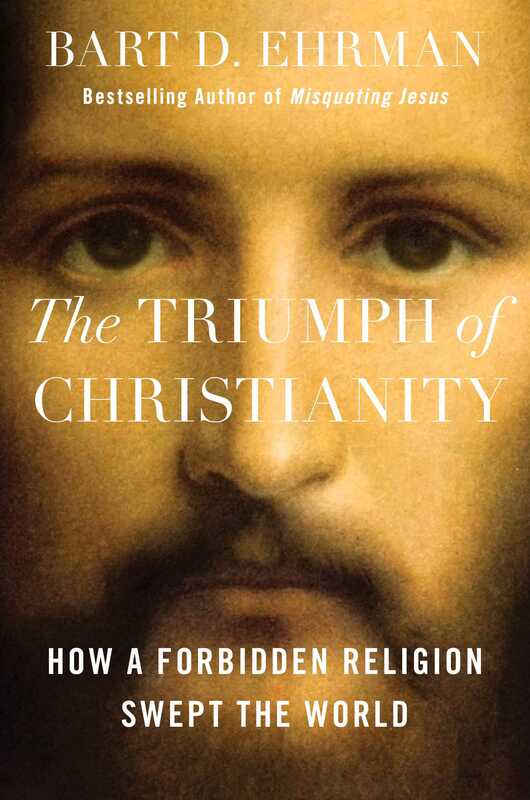 Indeed, so determined is Ehrman not to be mistaken for a theologian that he makes a point of refusing to speculate as to whether the rise of Christianity was a Good or Bad Thing. . . .
Ehrman is a great scholar, and this — as one would expect — is a book full of learning and nuance. It is nice to see scholars getting along so well, especially from different areas of speciality. We can for a while at least put behind us those times biblical scholars complain that outside critics are not qualified to properly assess the worth of publications of “historian-theologians”. If some readers were becoming just a tad uncomfortable with the inordinately(?) prodigious output of a scholar who simultaneously carries a full-time teaching load they are surely reassured by the confirmation that Ehrman’s new book is further evidence of his scholarly greatness. Now I do not question that Ehrman has made notable contributions to both scholarship and popular knowledge of early Christianity and its sources. Can I be forgiven, however, for suggesting that some of his most informative and valuable publications (e.g. The Orthodox Corruption of Scripture, Lost Christianities…) are some decades old? 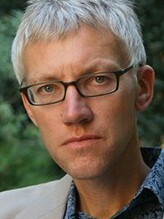 His recent work that purported to address memory theory in Jesus studies for a popular audience was Jesus Before the Gospels: How the Earliest Christians Remembered, Changed, and Invented Their Stories of the Savior unfortunately disappointed his peers who are specialists in the current application of memory theory to historical Jesus studies. 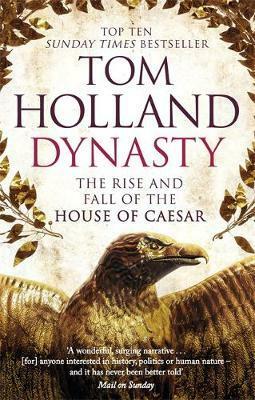 I am reminded of the ancient historian Michael Grant who wrote more books than he had active years as a classicist. Obviously there has to be a relationship between quantity and quality at some point. It took me a long time to realise my morals are not Greek or Roman, but thoroughly, and proudly, Christian. . . . The notion that a god might have suffered torture and death on a cross was so shocking as to appear repulsive. Familiarity with the biblical narrative of the Crucifixion has dulled our sense of just how completely novel a deity Christ was. . . . . I have suggested before that Tom Holland has overlooked something that even biblical scholars have noted: that Christianity not only contained novelty; it also encapsulated values that appealed to ancient ideals. See, for example, some of the work by Gregory Riley discussed on this blog. Indeed, so determined is Ehrman not to be mistaken for a theologian that he makes a point of refusing to speculate as to whether the rise of Christianity was a Good or Bad Thing. ‘I do not celebrate it either as a victory for the human race and a sign of cultural progress on the one hand, or a major sociopolitical setback and cultural disaster on the other.’ Historians rarely proclaim their neutrality with quite such emphasis. It’s very nice to have the commendations of scholars from a field outside one’s own. Surely the praise of a “non-biblical historian” can add prestige to the work of a “historian-theologian”. It is worth being reminded, however, that even the most popular historians and theologians are not beyond serious criticism. Posted on 2018-04-12 00:53:46 GMT+0000 by Neil Godfrey. This entry was posted in History, Scholars and tagged Ehrman: Triumph of Christianity, Tom Holland. Bookmark the permalink. I was inspired by Shadow of the Sword to pursue a study of the origins of Christianity using the same methodology as Holland used to study Islam. It seems he has fallen victim to his own biases when it comes to Christianity. “It took me a long time to realise my morals are not Greek or Roman, but thoroughly, and proudly, Christian. . . .
One name: Prometheus. One myth: he brought the fire to humans, thus sacrificing himself to eternal torture. I would dare to say that (“mythically” speaking) he did more than just some unverifiable promises, plus a 3-day inconvenience, isn’t it? I seriously don’t get the point of this article, and first Holland is not a qualified historian he got no relevant degrees at all and He’s the maker of that islamophabic documentary viz. ‘Islam: The Untold Story’, So it’s not surprising that he’s praising Ehrman’s highly biased work here.